All of those crazies faithfully believing that Elvis is still alive may have been right all along! Sort of. The company behind the Tupac hologram that debuted at Coachella this spring has officially announced their plans to bring the King back into the entertainment ring. Digital Domain Media Group will develop, produce and own a series of “virtual” likenesses of the music icon for all sorts of purposes, which include stage shows, television and film appearances. 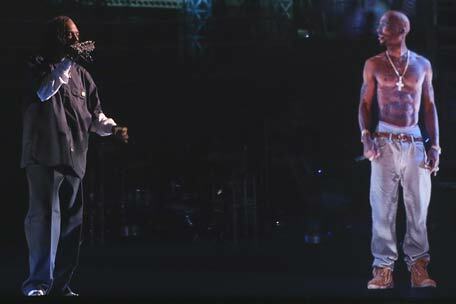 It sounds like they got big plans for this hologram. An Elvis Presley World Tour? Elvis Presley Show in Las Vegas? 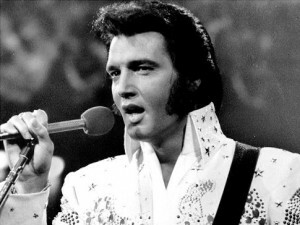 Which Elvis Presely would you want to see? Older or Younger Elvis? Rumors are going round that they also are working on Jim Morrison, Jimi Hendrix and a few others. There is no plans on a “tour” but a live “legends” show in Las Vegas?